Zénaïde Laetitia Julie Bonaparte was born on 8 July 1801 as the daughter of Joseph Bonaparte, the elder brother of Napoleon Bonaparte, and Julie Clary. She had a younger sister named Charlotte. Her father became King of Naples and Sicily in 1806, and later also King of Spain and the Indies in 1808 but Zénaïde and her sister Charlotte remained in France during his reign except for three months they spent in Naples. He was forced to flee from Spain in 1813 and took the title Count of Survilliers. After her uncle was defeated at the Battle of Waterloo in 1815, Joseph escaped into exile to the United States. Zénaïde remained in Paris with her sister and mother until they were forced into exile in May 1816. They travelled to Frankfurt and then to Brussels. Joseph built a large mansion on the Delaware River, but his wife never joined him in the United States. On 29 June 1822 in Brussels, Zénaïde married her first cousin Charles Lucien Bonaparte, who was the son of her uncle, Lucien. Her father was not present at her wedding because he lived so far away, but he approved of the marriage agreement. Their honeymoon was a leisurely journey back to Italy where Charles’s family lived. Charles took great delight in showing his new wife all the sights in Rome. The following year, Zénaïde and Charles travelled to America, against Charles’s father’s wishes. They arrived in New York on 8 September 1823 aboard the ship Falcon and took lodgings at the City Hotel. It was a rough crossing with Charles writing, “It did not bother me, but my wife suffered constantly.” It certainly did not help that Zénaïde was pregnant. They received a warm welcome from Zénaïde’s father. On 13 February 1824 while in Philadelphia, “after fourteen hours of suffering” Zénaïde gave birth to a son named Joseph. Their daughter Alexandrine was born in 1826, but the little girl was hydrocephalic and would die before her second birthday. At the end of 1826, the family returned to Europe. Between these two births, Zénaïde had suffered two miscarriages which affected her health. The death of Alexandrine devastated Zénaïde and Charles took her to Canino for a few weeks to rest. Shortly after Alexandrine’s death, Zénaïde gave birth to a son named Lucien. This was followed by ten more children; Julie (born 1830), Charlotte (born 1832), Léonie (born 1833 – died young), Marie (born 1835), Augusta (born 1836), Napoléon (born 1839), Bathilde (born 1840), Albertine (born 1842 – died young) and Charles (born 1843 – died young). Shortly after the birth of Napoléon, news reached the family that Zénaïde’s sister – pregnant with her lover’s child – had died shortly after an emergency caesarian section. Charles delayed in telling Zénaïde and found it terribly difficult to eventually tell her. 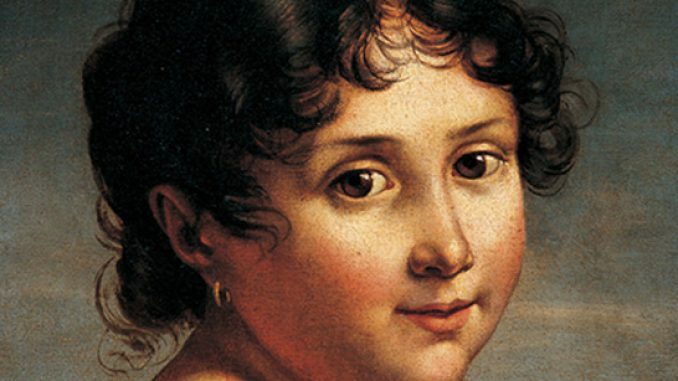 He too had been fond of her, and he had once written to his mother, “the more one knew her, the more one loved her.” Not much later, the family was struck by tragedy once more when 5-year-old Léonie died of a heart ailment. 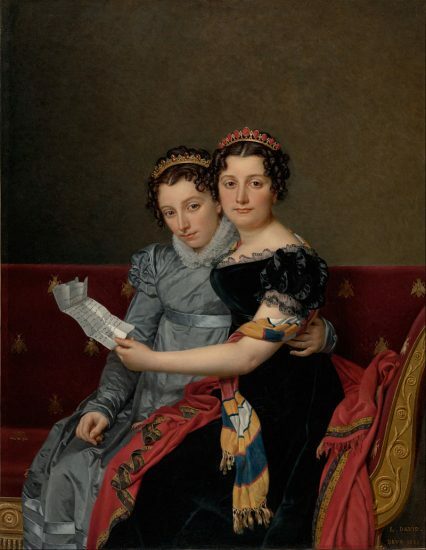 Charles wrote she was, “the wittiest and perhaps the most beloved of my daughters.” She was laid to rest beside her sister Alexandrine. Charles was an ornithologist, and his book Fauna released in 1842 was inscribed with the words, “To Madame the Princess Zénaïde Bonaparte, model wife and mother, the Author, after twenty years of marriage.” Their marriage had not always been happy, and they were often apart but he at least cared for her. Little Albertine, born in early 1842, had been asthmatic from birth and died suddenly in June 1942 after a coughing fit. She was buried with her aunt, Charlotte. Charles had barely known this daughter, but Zénaïde was devastated. In 1847, little Charles too died. Then in 1849, the elder Charles was ordered to leave the country – leaving Zénaïde and their children behind. Letters to Zénaïde were filled with money worries. In 1850, Joseph and his sister Marie were injured when a bomb went off in their carriage as they rode in the Corso. Joseph was temporarily blinded, and he had serious wounds on his hands, legs and stomach. Marie was also hurt, but not as badly. Joseph had to undergo several operations and was left with a damaged thumb and a scar on his face. Charles was frantic when he heard the news, and he wrote to Zénaïde, “Is it me they want to reach? Ah! – They have succeeded. I find again all my energy. Ah! They want war… eh bien (good)… they will have it… I too can throw bombs! Although the bomb has not touched me, I feel my muscles torn and my bones broken. Poor woman! Poor mother! After all, you do not reproach me… I love you more than ever… And I am working hard for our prompt and absolutely necessary reunion.” He was still forbidden from returning to Rome. Zénaïde tried to reassure him. In the summer of 1850, he was allowed to return to France, and at the end of the year, his eldest daughter Julie and her husband Alessandro del Gallo stayed with him. Marie had married Count Campello in March 1851 and Charlotte had married Pierre, Count Primoli in 1848. Zénaïde was reluctant to leave Rome and Charles was not allowed to go to Rome. Zénaïde kept their unmarried children with her and would not let them go to Paris. It wasn’t until 1852 that Charles was allowed to return to Rome, but he would leave emptyhanded and never even saw his wife in Rome. In 1854, their marriage came to an end when Zénaïde requested and received an imperial separation decree from Napoleon III, Emperor of the French.